The Oakland Raiders are 2-0 for the first time since 2002 and will now head across the country to take on the Washington Redskins on Sunday Night Football. Jack Del Rio leads his team across the country after a dominating 45-20 win at home against the New York Jets where his quarterback found wide receiver Michael Crabtree in the end zone three times. 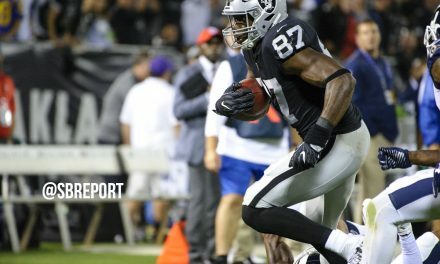 Carr will have another favorable matchup, going up against a Redskins defense that is allowing 269 passing yards per game, 26th best in the league. Amari Cooper was held in check last week, but it’s likely offensive coordinator Todd Downing will look to get him more involved this week. Cooper finished with just four receptions for 33 yards and no touchdowns. Oakland native Marshawn Lynch found the end zone for the first time as a Raider last week, and he’ll look to continue his violent running against a fairly stout rush defense in the Redskins. Redskins defensive coordinator Greg Manusky is in his first season at the helm of the defense, though has his squad allowing just 75 yards per game on the ground (9th best). Leading the team in tackles is linebacker Zach Brown, whom the Raiders targeted in the offseason before he eventually signed with the Redskins. The Raiders will need to keep an eye on Brown at all times to make sure Lynch and the young running backs have room to run. 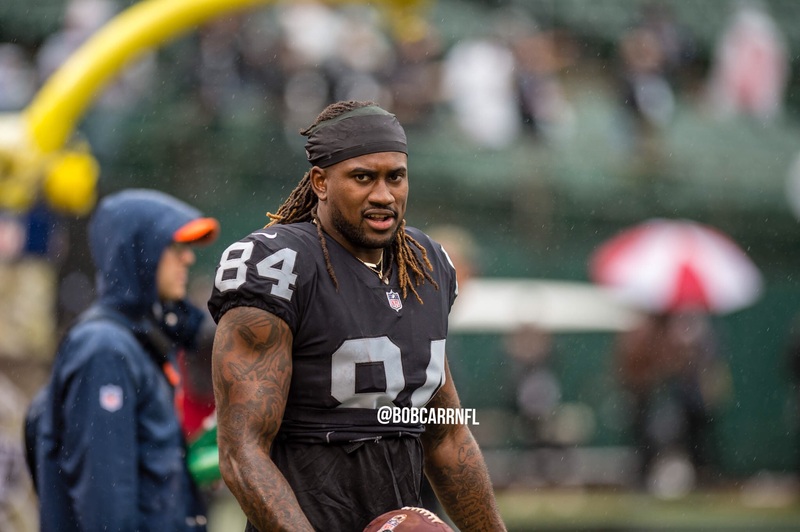 Donald Penn and the Raiders offensive line have done a good job keeping Carr upright this young season, and will face a tough task on Sunday night with the Redskins bookend linebackers. Third-year LB Preston Smith leads the team with two sacks, while veteran Ryan Kerrigan has 1.5 sacks of his own. Giving Carr time is key to the Raiders passing game. 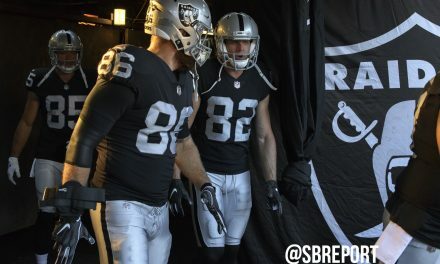 The Raiders defense has done better this season in defending the tight end position and they’ll face one of the league’s best on Sunday, should he be healthy enough to play. Jordan Reed is an athletic tight end that has the ability to beat Raiders defensive backs virtually anywhere on the field. Reed has been limited in practice all week, and is officially listed as questionable heading into the game. 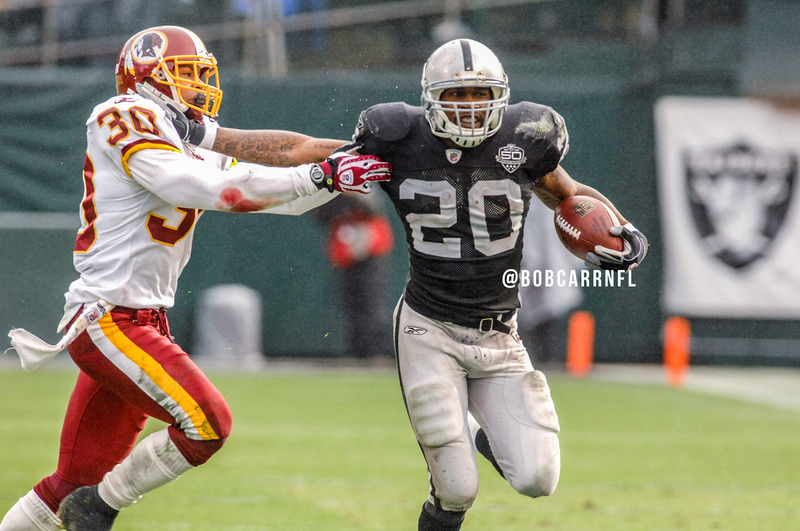 Raider fans will see a familiar face on the Redskins offense, though it’ll be at a different position. Terrelle Pryor started nine games as the Raiders quarterback in 2013 and now will face his old team as a pass catcher instead. Pryor transitioned to a wide receiver after he was released by the Raiders, putting together 77 receptions for 1,007 yards and four touchdowns last year with the Cleveland Browns. The season was good enough to earn him a big paycheck with the Redskins in the offseason. Pryor has gotten off to a slow start this season, hauling in just eight receptions for 97 yards over two weeks. The former quarterback has a rare combination of size and speed that could make it tough on smaller defensive backs. Raiders cornerback Sean Smith seems like a good defender for him, though he is listed as questionable on the injury report with a neck injury. In the running attack, the Redskins will feature Rob Kelley and change-of-pace back Chris Thompson, who is also dangerous in the passing game. Thompson has homerun ability and is averaging over 13 yards per carry. He has also added 81 receiving yards on seven receptions. The Raiders linebackers and safeties need to keep an eye on him whenever he is on the field as he can be a dangerous receiver out of the backfield. Khalil Mack and the Raiders pass rushers could have a big day disrupting quarterback Kirk Cousins and the Washington passing game. The Redskins offensive line has struggled in the young season, already giving up six sacks on the season. The Raiders will remain on the road next week, as they head to Denver to take on the Broncos in a big AFC West matchup.